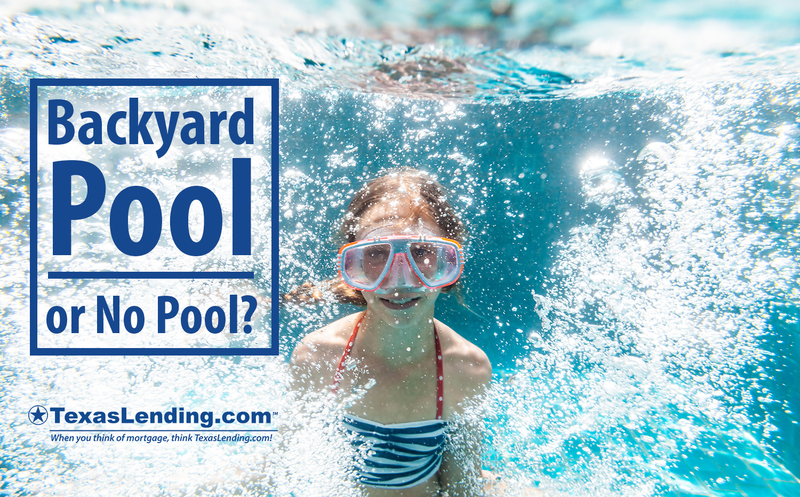 The question we are asking today is “pool or no pool?” While we can see the appeal of having a pool in your own backyard, there are a few things to consider before deciding whether a pool is right for you and your family. Maintenance on a backyard pool can be costly. There are chemical treatments for the water, filters, pumps, heating elements, lights and other potential costs to keep is running properly. The average cost of keeping a backyard pool running can be $2000 to $5000 annually. Things get a bit more expensive when you consider repairs. Cracks in the pool, replacing parts, and other repairs can add a few thousand dollars to your backyard pool expenses. Pool maintenance doesn’t just cost you dollars, it also requires time. A pool owners most frequent battle could be against algae and falling leaves. Cleaning leaves and other debris off of the surface of the water and emptying filter trap should be done daily. Scrubbing the pool its self as well as cleaning the surrounding areas is a regular task on the “must do list.” Regulation of the condition of the water can keep your swimmers safe from infections, and must also be checked regularly. Is there proper fencing to prevent children or pets from being in the pool without supervision? Are you prepared with safety training? Will you be able to teach all members of the household and guests to swim safely? Are you or another adult in the household prepared to act as a life guard while others swim and play in the backyard pool? A home with a pool can cost 10% or more to insure than a comparable home without a pool. Insurance companies can require extended safety regulations on your backyard pool as well. Water slides, diving boards, fencing, pool covers, and landscaping can all be factors in your insurance approval. Other than being a frequent spot for family, neighbors, and friends to want to hang out, your pool can attract some unwanted guests. Animals are naturally attracted to open sources of fresh water. You may be able to expect visits from wasps, beetles, mosquitoes, flies, cockroaches, frogs, toads, mice, ducks, rabbits, snakes, lizards, and other small critters. In Texas there have commonly been reports of larger predatory animals captured in backyard pools. Foxes, alligators, snapping turtles, bob cats, and cougars require a call to wildlife specialists to remove. If you are dedicated to leaving a smaller ecological footprint, then a backyard pool is not for you. The high amount of chemicals, water usage, and energy consumption to keep a standard backyard pool running is not low impact on the environment. If all of the factors discussed above seem like a worthwhile undertaking for you, then having a backyard pool could be right for you. Knowing what to expect is the best way to begin your adventure as a home owner with a backyard pool. Having your own oasis is a dream for many home owners. It can be a lot of fun for individuals to relax in the privacy their own backyard, or a great place to build memories with your family. If you are looking to buy a home of your own, or get a cash out refinance your current mortgage to make home improvements like adding a backyard pool. We are here to answer all of your mortgage questions.